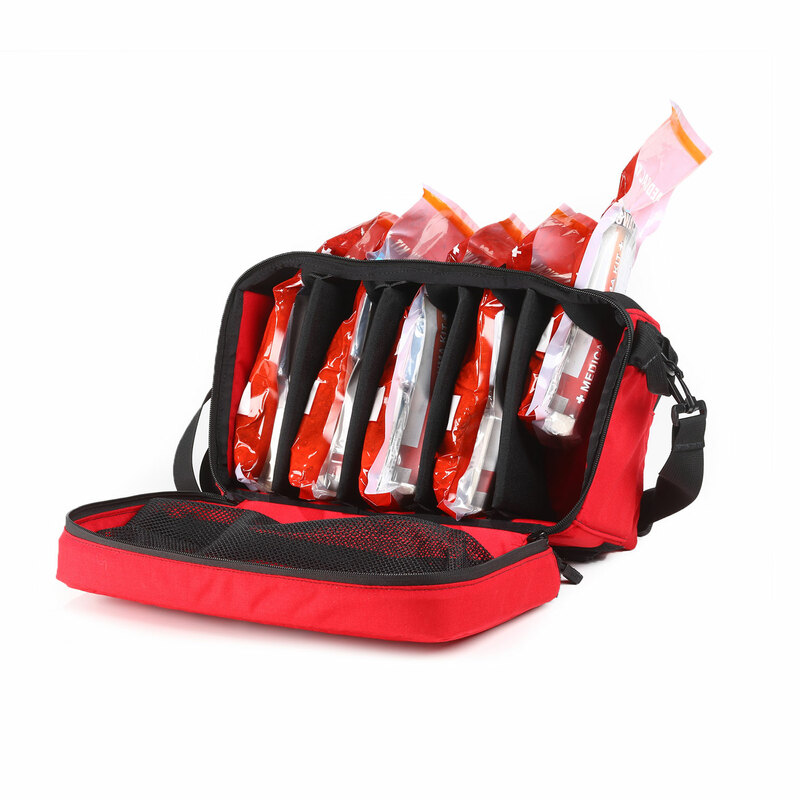 The Chinook LIFE™ Pack Advanced holds 5 vacuum-sealed Advanced LIFE Kits in a unique dispensing system allowing for rapid access to critical lifesaving medical supplies. 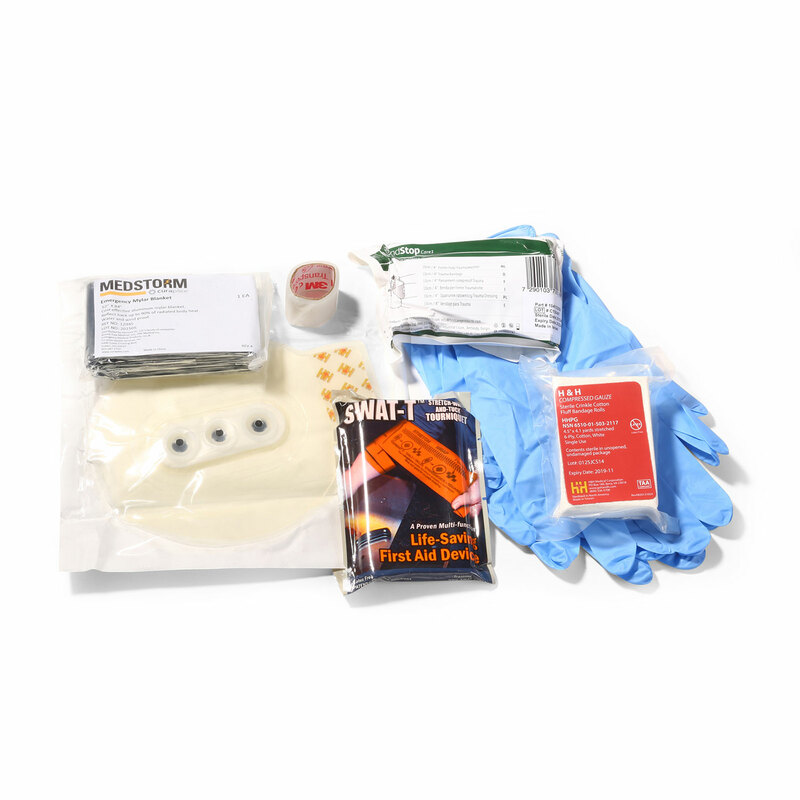 The Advanced version of the LIFE Pack includes 5 individual vacuum-sealed Advanced LIFE Kits and 1 casualty extraction litter. 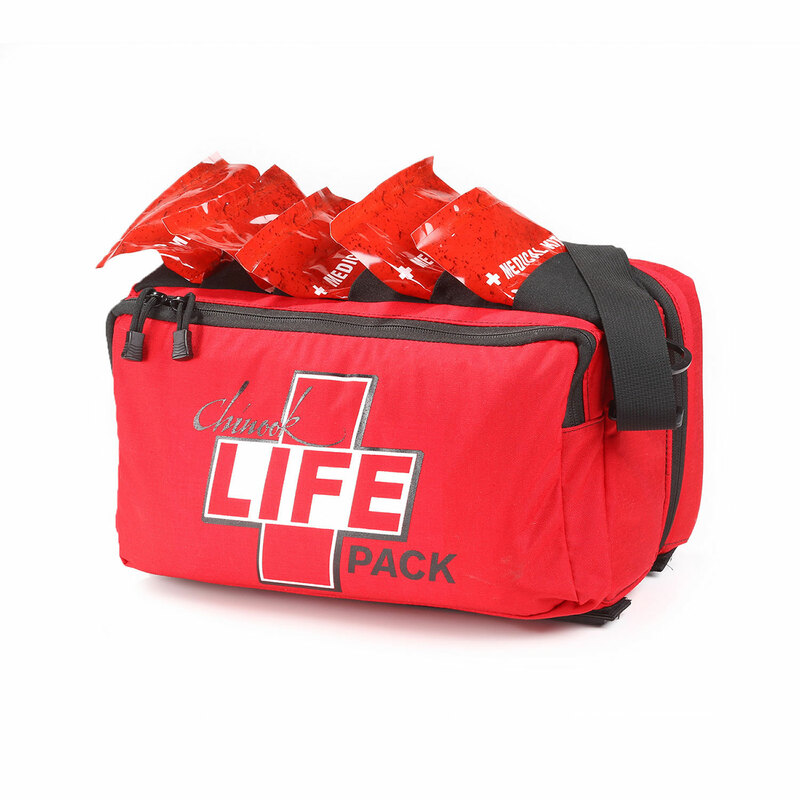 The 5 Advanced LIFE Kits are easily accessed through the unique dispensing system on the front of the LIFE Pack -- simply grab one, two, or more Advanced LIFE™ Kits, or take the entire LIFE Pack with you. 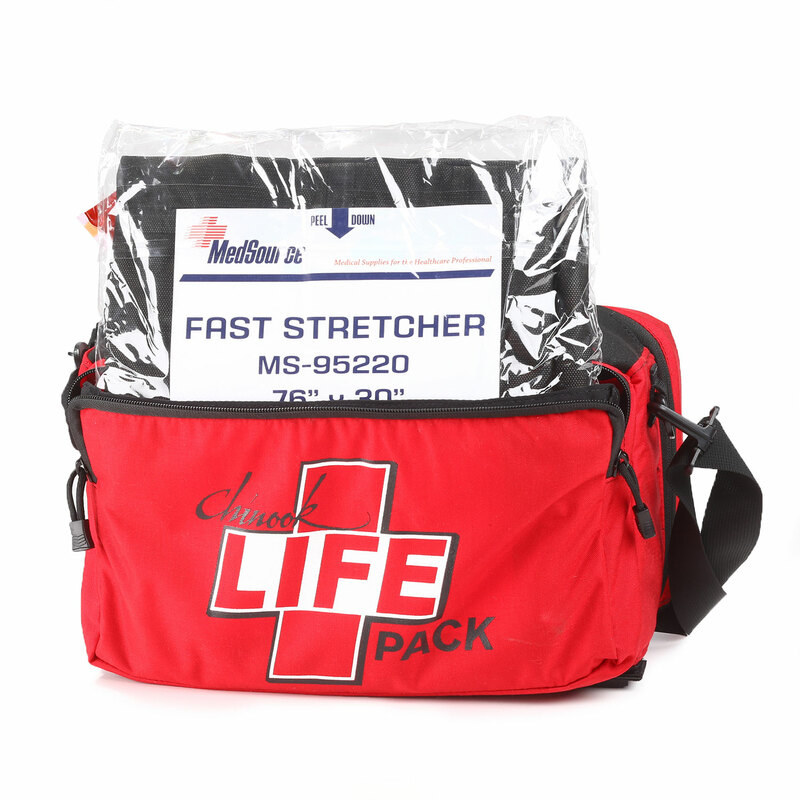 The Chinook LIFE Pack bag comes with a shoulder strap and grab handle for easy carry, an outer zippered pocket for litter storage, five internal storage slots for the Chinook LIFE Kits, and an extra internal storage pouch for additional medical supplies of LIFE Kits if needed. Disposable Go Stretcher, 500 lb load capacity, 35" x 71"
8" x 14½" x 8½"
In 2015, the White House launched the “Stop the Bleed” initiative, which seeks to empower bystanders of emergency situations to act as immediate responders to stop severe bleeding, which can claim lives before medical professionals arrive. 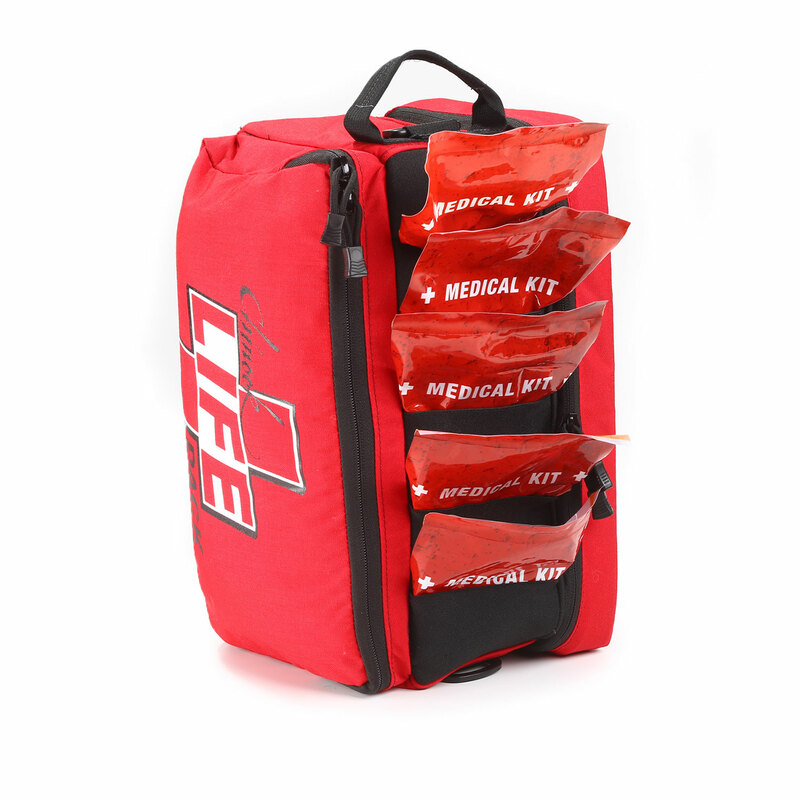 The Federal Emergency Management Agency (FEMA), under the Department of Homeland Security, along with other government agencies have validated and embraced the importance of having public access to hemorrhage control supplies, such as Chinook LIFE Kits. This empowers staff members, teachers, and bystanders to fulfill a greater role in saving lives during mass casualty and active shooter incidents. Controlling blood loss is the first priority in these scenarios and a few minutes can mean the difference between life and death.